Once a member of a Bristol house share which featured Russell Howard, John Richardson and Mark Oliver, Robins has been a familiar face on the stand-up scene for several years. His recent rise to success, which saw him pick up the prestigious award for best show at last year’s Edinburgh Fringe, is, however, largely due to his role as co-host of The Elis James and John Robins Show on indie station Radio X.
Robins’ love for Ronnie O’Sullivan, real ale (below 4.5%) and rock band Queen, along with his brutal honesty when broadcasting about his personal life, is as unconventional on commercial radio as it is hilarious. Coupled with the relaxed vibes of football-loving Welsh Mod James, it has achieved phenomenal success. The pair’s weekly show and podcast is a cult hit among millions of loyal followers and has transferred to sell-out live stage shows across the country. Though audience numbers at two sell-out nights in the Quays Theatre (prompting a third date in the Lyric Theatre this March) are undoubtedly bolstered by the podcast’s devoted Manchester fan base, The Darkness of Robins stands alone as a solo work in its own right. And what a work it is. The show opens in classic Robins style, a celebration of Ronnie O’Sullivan having won yet another snooker championship minutes previously and a handshake for a gentleman on the front row wearing a Frank Zappa t-shirt. Those unaware of Robins’ quirks and obsessions may have been ever-so-slightly perplexed during these opening interactions, but a useful “getting to know you” routine (inspired by his appearance on Celebrity Mastermind) gives us all a very honest and very frank insight into his personality. Honesty and frankness is the overriding theme as Robins launches into a host of hilarious, angst-ridden rants and anecdotes. Former Lib Dem leader Tim Farron receives an absolute slating, as do collapsible bikes, lentils and, more often than not, Robins’ own mind. We learn of his fear of receiving text messages, the pros and cons of living alone and just how difficult it is to buy a bookcase in IKEA. Robins’ natural talent for stand-up comedy shines through, both in the intricate routines with their impeccably- timed punchlines and the improvised interaction with his audience. After the opening of a particularly tricky zip received rapturous applause, he promises to return to Salford with velcro to “blow minds.” Where the hysterical laughter of one audience member threatens to throw him off his stride, Robins rescues the situation with such aplomb that it becomes one of the show’s highlights. The bulk of the second half of The Darkness of Robins focuses on John’s break-up with his girlfriend of four years (it is the worst kept secret in stand-up that the subject is fellow comedian Sara Pascoe). 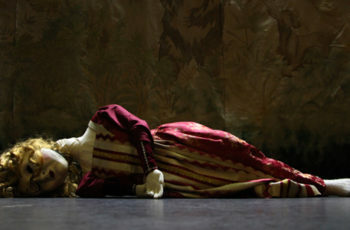 It is an event that clearly affected Robins deeply, who found himself alone – over Christmas no less – in the house the pair had purchased together. But there is no bitterness, no anger directed at an ex-partner. What we see is a cathartic experience for Robins (and no doubt many in the theatre) as he recounts the split and muses on the nature of relationships and lost love. Here, it becomes abundantly clear how a show based on the most unlikely of comedic inspirations has received such critical acclaim. The final routine is so linguistically stunning, so emotionally moving that it wouldn’t be out of place in the most high-brow of theatre productions, let alone a stand-up comedy show. As Robins takes his leave, there are many tears in many eyes; couples embrace in the stalls. Stand-up comedy will often boast the ability to make you cry with laughter. What is less common is stand-up that has the incredible ability to make your cry with laughter one moment and genuine, heartfelt emotion the next. The Darkness of Robins managed just that, and is not to be missed. 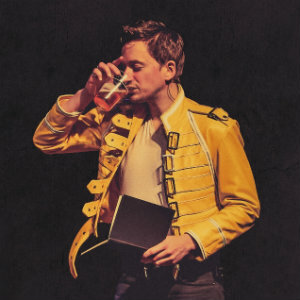 John Robins returns to The Lowry, Salford on Saturday 24th March at 8pm.